Intensified Prayer Life...take my time in praise, confession/examination of sin, intercession. Increased Financial Giving to others...particularly the poor, oppressed, homeless, hungry, ill, addicted. Intentional Fasting...not only from food once a week, but from iphone and other things that vie for my attention and keep me from paying attention to God and others. Holy Reading/Devotion...this year I have been using Christianity Today's devotional THE JOURNEY TO THE CROSS, I have been reading a great theological work by Fleming Rutledge THE CRUCIFIXION: UNDERSTANDING THE DEATH OF JESUS CHRIST (I would also commend ENTERING THE PASSION OF JESUS by Amy-Jill Levine), I have been reading and preaching through the book of James with the congregation I serve (reading through the book of James once a day, while still reading 5 Psalms a day and 1 Proverb a day). Holy Listening to Music...I listen to Mozart's Requiem in D Minor everyday. 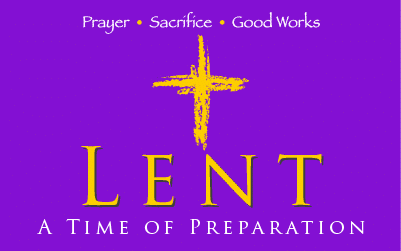 I continue to pray for the church, especially the evangelical and pentecostal churches, to recover the practice of Lent for the glory of God during this season which is a witness to the heart of the Christian Faith and for its own spiritual health and vitality. I pray for all of you to (re)discover the grace of entering into the season of Lent.